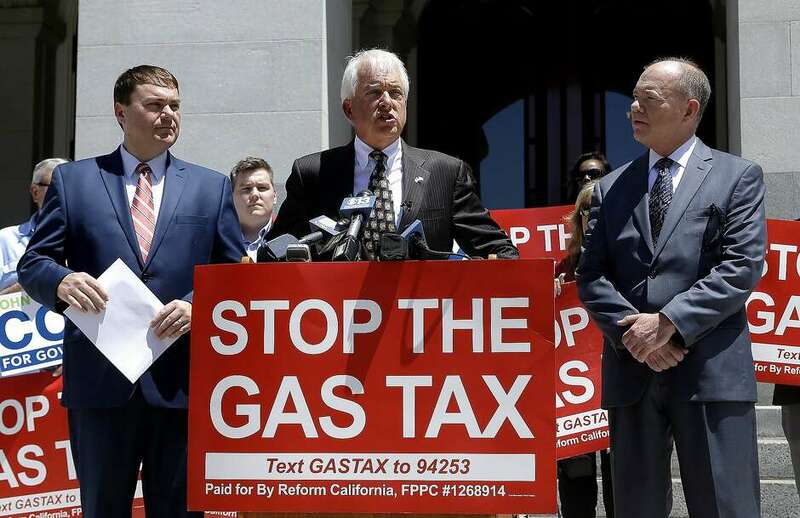 California Secretary of State Alex Padilla announced today that the initiative to repeal the gas tax has qualified for the November ballot. Based on a random sample count, the measure gathered more than the 585,407 signatures required of registered voters. Read the story in the Sacramento Bee, the Los Angeles Times, the San Jose Mercury News, the San Francisco Chronicle (photo below) or the San Diego Union-Tribune. This entry was posted in 29th State Senate District, Carl DeMaio, Gas Tax, Jon Coupal. Bookmark the permalink.